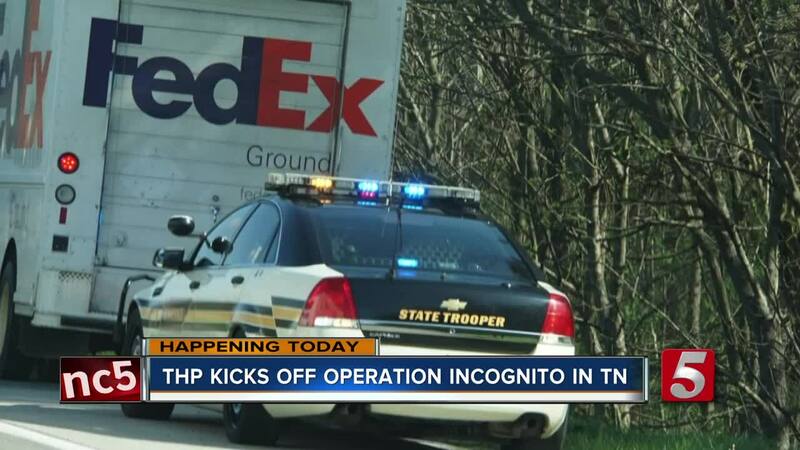 Last year, the Tennessee Highway Safety Office launched “Operation Incognito” as a way to catch distracted drivers and educate the public on just how dangerous it is. NASHVILLE, Tenn. (WTVF) — The Tennessee Highway Safety Office is kicking off their initiative to catch distracted drivers. The Tennessee Department of Homeland Security numbers show distracted driving crash numbers climbing every year. Statewide since 2008, there have been more than 207,000 distracted driving-related crashes, with more 23,000 of those happening in Davidson County. They're also promoting National Work Zone Awareness Week to remind drivers to slow down and pay attention in work zones. Last April in a similar initiative, law enforcement handed out more than 1,800 traffic tickets. A ticket for texting and driving can run you around $50.